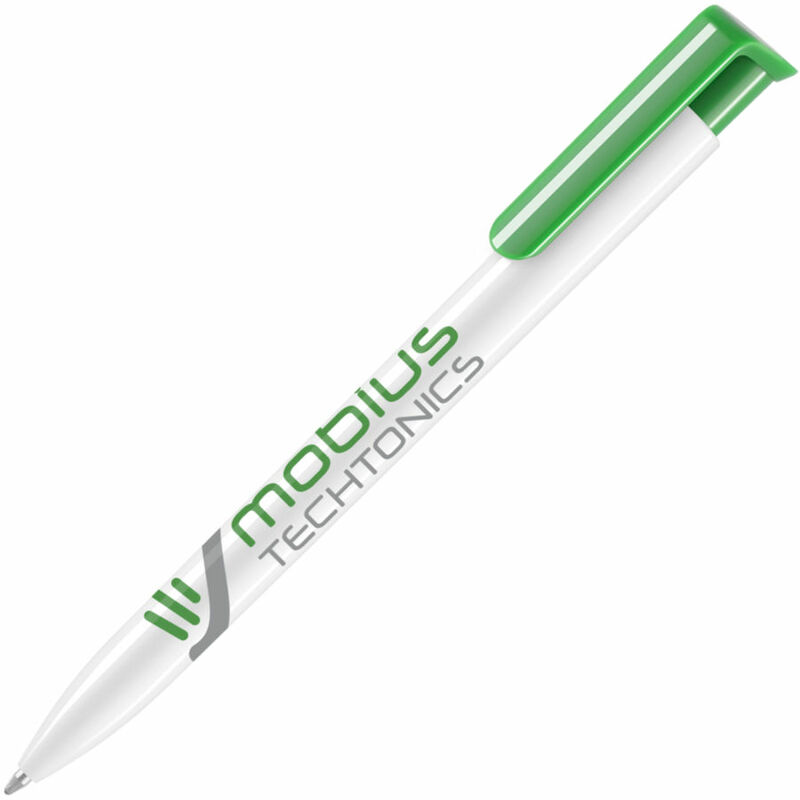 Popular ballpen with generous print areas available on both the barrel and clip and a quick printing service is also available. Black ink refill. 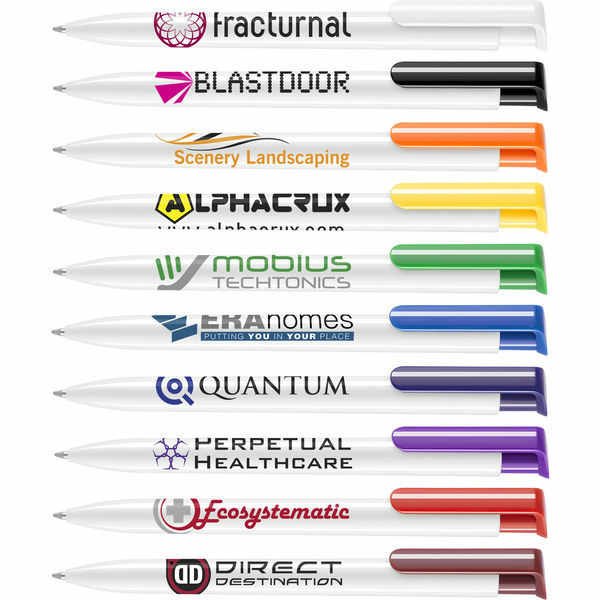 Also available with full colour print onto white barrel). Print Area: Barrel: 50mm(w) x 20mm(h), Clip: 30mm(w) x 6mm(h). Full Colour printing available onto white barrel.